If we listed our dresses based on elegance then Dita would be front and centre. This chic look features a demi-flared skirt that falls perfectly at your sides while a matching belt defines your shape. 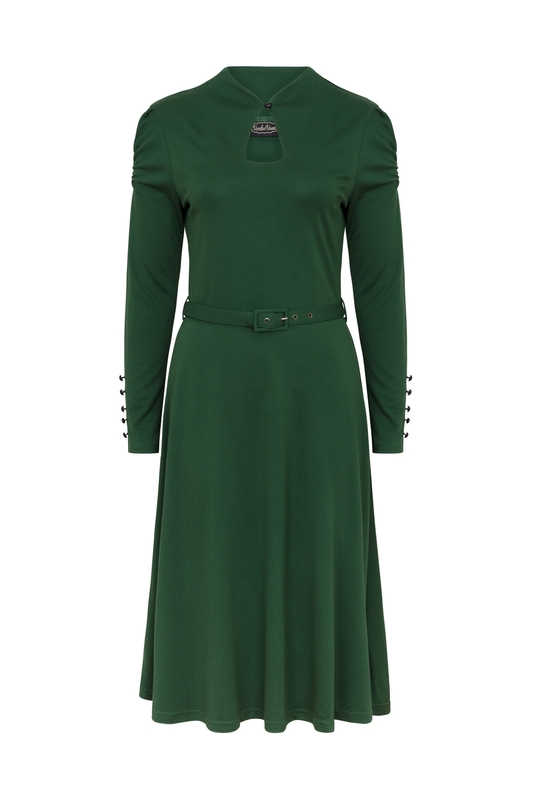 A high neck button clasp and a classy keyhole chest cut out prove to be the definition of sophistication. 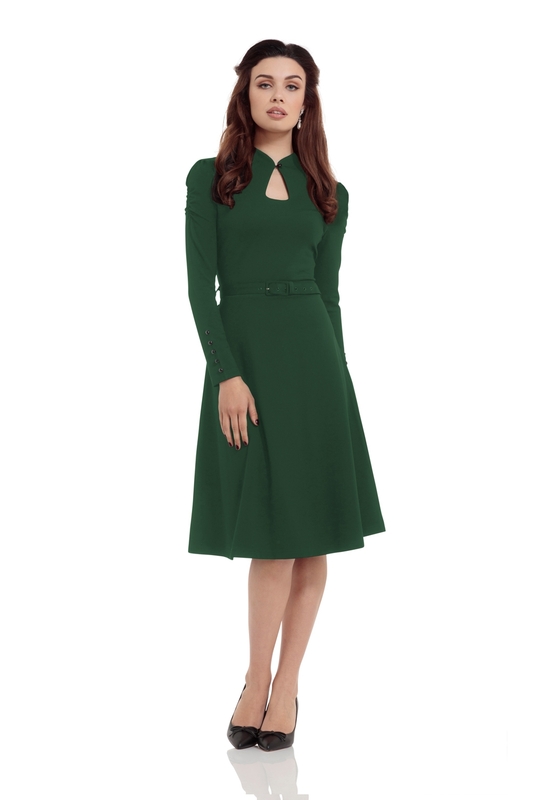 The dress is finished off with a slightly puffed shoulder and full-length sleeve, including delicate buttoning on the cuff. Dita pulls off chic elegance in her own unique way.